In 2014, he was diagnosed with the advanced form of black lung disease, known as complicated black lung, or progressive massive fibrosis. "I know it's going to kill me," says Muncy, whose brother died of the disease in 2017. "I figured it was going to be a horrible death, and it probably will be." Over the past year, NPR and the PBS program Frontline have interviewed dozens of miners across Appalachia with black lung. The interviews with miners like Muncy were part of an investigation that found federal regulators, despite mounting evidence and a stream of dire warnings, failed to protect coal miners. The miners spoke to NPR and Frontline as they grappled with a disease that is drastically changing their lives, their communities and their families. Here, in their own words, is what they told us. Paul Kinder had just graduated from high school when he started mining coal. "It was a good job," he says. "I loved the operating equipment and learning new things." But after three decades underground, he was diagnosed with complicated black lung and had to quit. Now, at 68, Kinder says he doesn't have the breath to work in his garden. "I can't follow a hound through the mountains nowadays. I had to give all that up," says Kinder. "The old saying goes, you lay down with dogs, you get up with fleas. And if you work in the coal mines, you're going to get black lung." Jackie Yates has a family history of black lung. His brother died from the disease in 2015 and his father is still suffering from black lung. "It's just like [it] turns your lungs to concrete," he says. Yates was diagnosed with complicated black lung in 2013 after two decades of mining. And, at 50, he is still working at a coal mine. "Around here, it's ... a family tradition, coal mining; it's a way of life," he says. "It's like I guess farmers in the Midwest. ... It's family tradition." At home in southeastern Kentucky, Greg Kelly, 54, uses inhalers and an oxygen tank when he needs help breathing. But even with oxygen, he can't take in enough air to walk in the mountains and play with his grandson like he used to. "There's a lot of scarring and stuff in my lungs," he says. "That's something you don't want nobody to face, is having to struggle to breathe. That's scary." As an underground coal miner, Jack Horne worked particularly long hours — sometimes 80 hours a week. "Probably the biggest part of my health problems was because we stayed there a lot," says Horne, who found out he had complicated black lung after two decades in the mines. Horne says some miners would leave work with their faces "completely black" from the dust. "You can't tell me that that's not in his lung," he says. "Sooner or later it'll take its toll." During the 23 years Harold Dotson spent underground, he worked in a lot of dust. 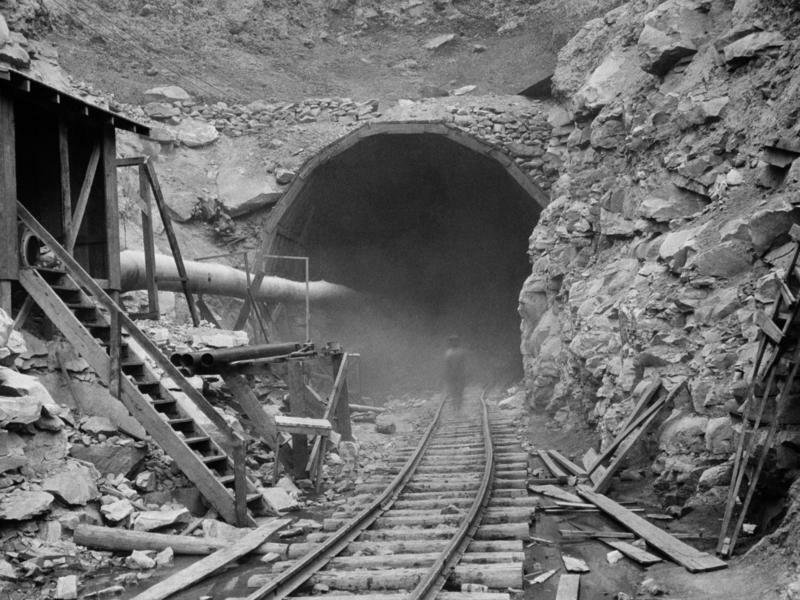 As a roof bolter, he ran machinery that installed roof supports in the mine. "Any fool knows anytime you stick some kind of machine ... in rock and coal, there's gonna be dust," says Dotson, who was diagnosed with complicated black lung in 2013. Looking back on his career, Dotson says some of the mining companies he worked for didn't care about the miners. "They don't care if you live or die, that's the truth of it," says Dotson. Charles Shortridge married young. After more than 40 years as a couple, he and his wife were planning to grow old together. He was diagnosed with complicated black lung in 2017. "I can't plan for tomorrow because I never know if I'm going to live to see tomorrow," says Shortridge. Now, he says he's taking life a day at a time. "There's no cure for me," he says. "'It's black lung. It's a death sentence." NPR's Howard Berkes and Ohio Valley Resource's Benny Becker contributed to this story. Following a failed attempt to address a looming crisis in many multi-employer pension programs, two Ohio Valley lawmakers have introduced a bill in Congress to shore up the shaky pension plan for coal miners. The bill also aims to protect health benefits and restore funding for the federal trust fund providing benefits for thousands of miners sickened by black lung disease. On this West Virginia Morning, two Ohio Valley lawmakers have introduced a bill in Congress to shore up coal miners’ health and pension benefits and restore funding for the federal black lung trust fund. Becca Schimmel reports.